Nearly two years ago, the DC Council secured a place for Uber in the District. Today, we are thrilled to announce that the Council has passed a comprehensive ridesharing framework, providing a permanent home for uberX in the District. With this legislation, DC has become a trailblazer in the transportation industry by embracing innovation, supporting consumer choice and empowering small business owners. 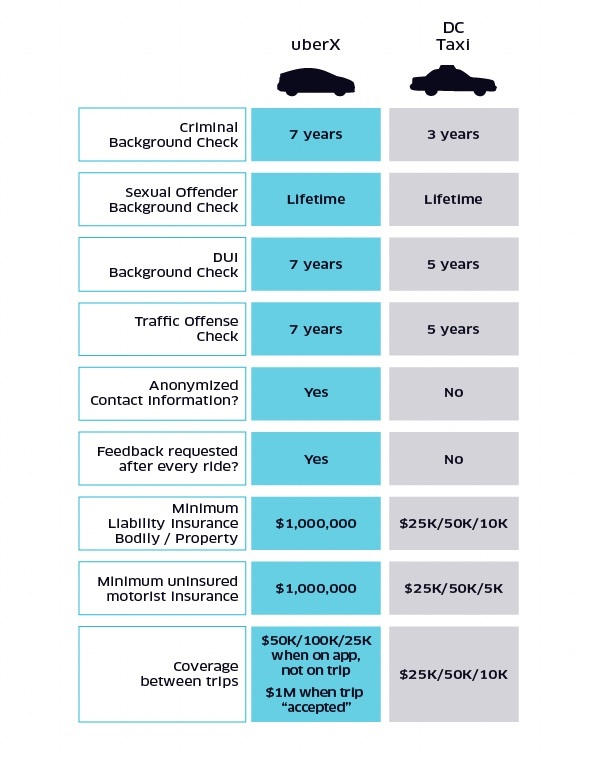 From the beginning, Uber has required extensive background checks, vehicle inspections and top quality insurance coverage. This legislation affirms that responsibility and ensures that uberX is the safest and most reliable way to get around the District.